1 The Memorial Cyclopedia of the Twentieth Century Comprising Memoirs of Men and Women . . ., New York: The Publishing Society of New York (1906), 208, Google Books (Digital Library). 2 Barnes, Robert W., Colonial Families of Maryland: Bound and Determined to Succeed, Baltimore, Maryland: Printed for Clearfield Company by Genealogical Publishing Co. (2007), 73. 3 ConSource, "Marriage Agreement with Sarah Brent (April 8, 1780)", (accessed 08/21/2017). 4 Gunston Hall Mansion and Museum, "Mason Family Genealogy: George Mason (IV) of Gunston Hall and Family", (accessed 08/21/2017). 5 Roberts, Gary Boyd, "#83 Royal Descents, Notable Kin, and Printed Sources: A Third Set of Ten Hollywood Figures . . .", www.americanancestors.org/third-set-of-ten-hollywood, (accessed 10/11/2014). 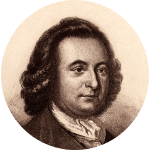 6 Wikipedia, "George Mason", (accessed 10/11/2014).